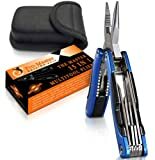 Looking for the best multitool, but aren’t sure if the cheap one’s at Walmart are good enough? In this article, we’ll break down which multitools are best for which activity, and some front runners that truly shine for just a couple bucks more. Doesn’t matter if you’re a hunter, avid woodsman, or just a weekend warrior looking to pack the essentials, there’s a multi tool for everyone. 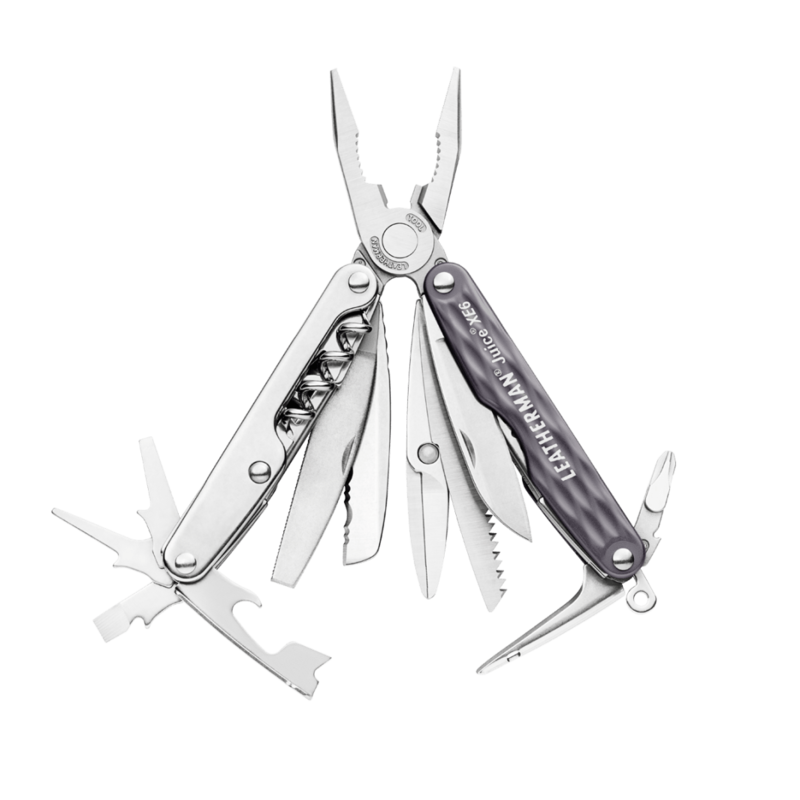 Almost every outdoorsman, hunter, survivalist and tradesman has at least one multi-tool. One multi-tool isn’t enough for some of us either. While fashion-wise people have closets full of shoes, adventurers of the great outdoors seem to have a multi-tool for every occasion. People who carry multi-tools remind me of firearms enthusiasts. Picking the right multi-tool is about as personal a choice as it is for the “gun-guy” when he or she goes to the shooting range with their favorite blaster. There are probably hundreds of multi-tool options on the market. 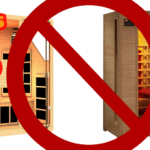 Some are high-end models well over $300.00, and some are import knock-offs that aren’t worth $10. 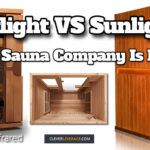 The high-end models may not really be what one needs to spend their money on, and the import knock-offs aren’t good for much more than a few uses. But what about all multi-tools in the “middle of the pack”, how do they rate? 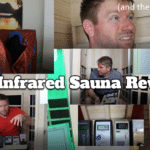 Depending on your general needs for a multi-tool, you’ll probably look at the review of each model through different eyes than me or the guy next to you. So we have lots of options to look at today. We’ve done the research and we’ve seen the best multi-tools on the market, in categories like hunting, camping and survival, shooting sports and EDC. We’ll review our top picks so you may have a better idea of what your next multi-tool addition will be. How do you carry your multi-tool? Before purchasing any multi-tool, one of the things I consider is how I’m going to keep my multi-tool within close reach. It does no good to have the world’s best multi-tool on an outdoor adventure if it doesn’t have a good lanyard loop to keep it attached to my body. 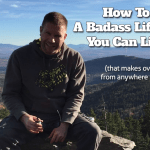 In fact I had a buddy lose a very expensive multi-tool because it was just thrown into a cargo pants pocket on a camping trip. He took a spill on the trail and dropped a few items. The fall happened just right, so that tool slipped out of a buttoned up pocket. I would have never thought in a million years it would have slipped out of the pocket like that. Luckily we were able to retrace our steps after finding it missing, locate the valuable “team-member” and get on with the trip. Have a holster for your multi-tool. 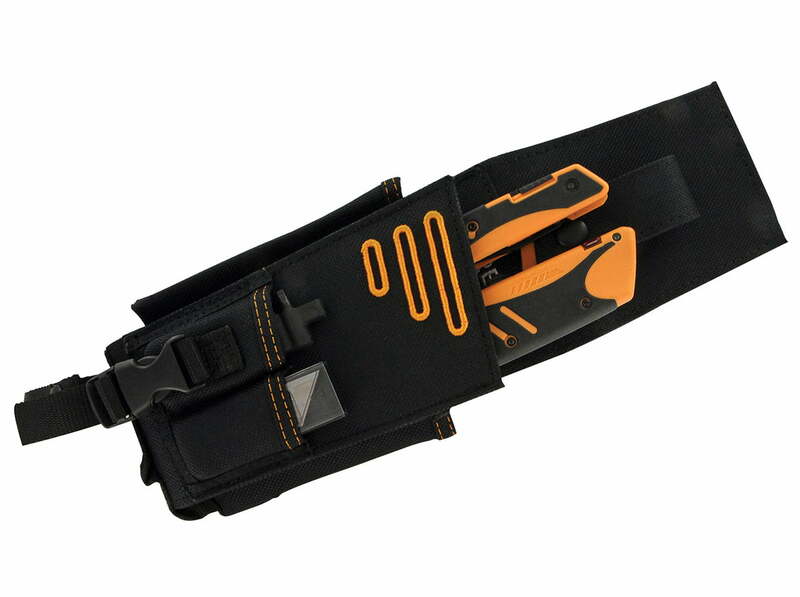 If you are on a job site as a tradesman, or in the outdoors it’s very common to have a multi-tool holster on your belt. It’s a failsafe way to make sure your tool doesn’t get lost and at the same time, that it’s easy to access. Tie your multi-tool to your body/holster if equipped with a lanyard loop. If your Velcro multi-tool holster gets snagged open by thick brush in the back country, and your everything pliers falls in the mud behind you, at least you’ll know because the lanyard will tug at you like you’ve been caught by a fisherman. Does corrosion resistance matter on a multi-tool? Whether your multi-tool is exposed to job-site dirt and grime, or wilderness elements, you’ll need to keep rust from forming on the metal surface. Over time, rust will form first in the joints and inner workings of the multi-tool. From there it will only spread, impeding fold out function and springs, as well as the sharpness of any cutting tools. Along with how I’m going to carry the multi-tool, I consider what steps the manufacturer has taken to stop corrosion and how effective I think those steps will be. There are several ways that companies try to stop corrosion on a multi-tool. Polished surface: Highly polished metal surfaces tend to resist rust a bit better than rough or matte finish metal. On a microscopic level, metal that’s been highly polished, has its pores closed with a very mildly abrasive buffing wheel and jeweling compound. This is one way to make carbon steel more corrosion resistant, however it only works to a degree, and still does not come close to the corrosion resistance of stainless steel. Sometimes I think lower end manufacturers do this to keep the product from rusting between the time it’s manufactured and the time it’s bought, however that’s just a guess. I would not bet on a high polished surface to be my only rust preventative for a carbon steel multi-tool. Coating or Plating: A more effective measure taken to keep rust off a multi-tool is the process of coating or electro-plating the metal surface. On cheap multi-tools, if you look closely, you may find that it has a clear-coat finish. This will work very well until it gets chips and dings in the finish and then starts rusting. A more effective measure is to anodize or black-oxide the multi-tool. My personal Leatherman Super Tool 300 is protected with black-oxide, and it hasn’t let me down yet. Corrosion Resistant Material: Another option to resist dreaded rust is to choose a material for your multi-tool that is inherently resistant to corrosion. 154CM and 420HC stainless steel are some of the more premium steels used to protect your tool. While no steel is really rust proof, the degree in which such metals resist rust might make you think they are completely immune to corrosion. Most reputable manufacturers use a combination of high polish, plating and corrosion resistant material to give the end user a product that lasts for decades. While it’s easy to take rust resistance for granted when it’s doing its job, I always think about how I’m going to protect my multi-tool from the elements before I buy, and so should you. The first category of multi-tools to be reviewed is for campers, hikers and survivalists. 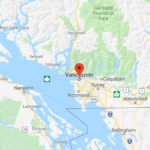 For these types of thrill seekers and preparedness minded folk, they are going to need a tool that has a wide variety of uses, is tough as nails and is resistant to extreme weather elements. 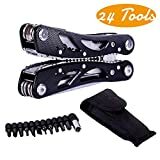 There are a number of multi-tools that would work well in this category, and surprisingly enough, they aren’t all that expensive. So sit back and let’s take a look at our first pick. As far as survivalists and campers go, this would be a great pick. As you’ve read above there are is the standard general purpose tools available on this piece of kit. As affordable multi-tools go, you could do a lot worse if you picked this one. 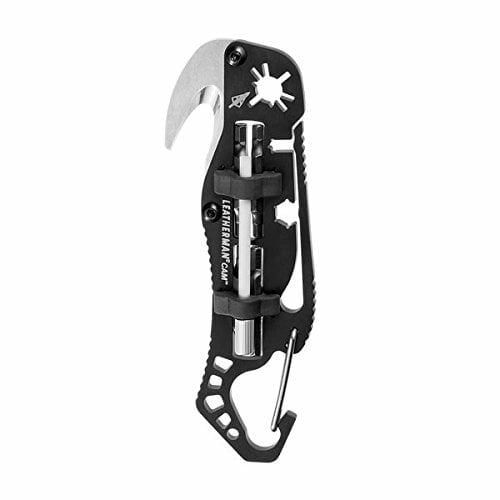 The Leatherman Surge is another great pick for survivalists and campers. The Surge is one of the more beastly multi-tools weighing in at 12.5 oz. and running a 4.5” in length when closed. 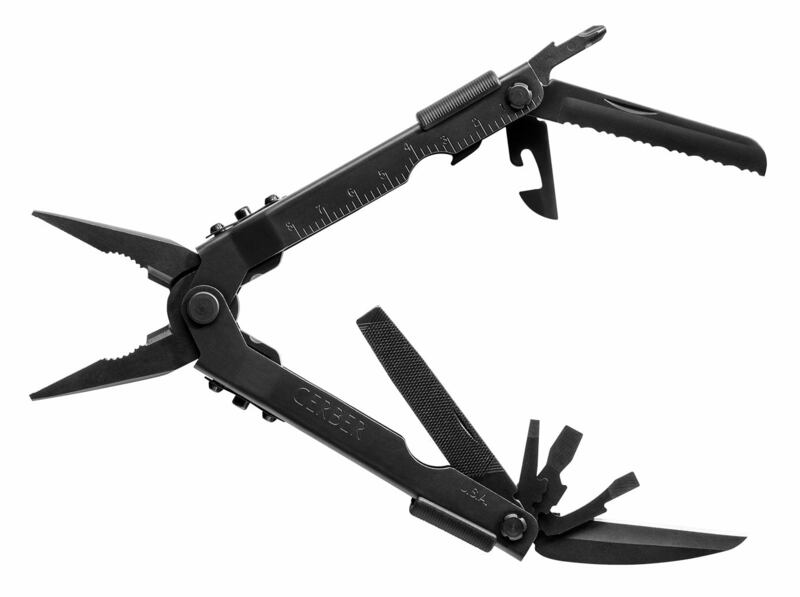 While I have the Leatherman Super Tool 300 in my “Go-bag” should an emergency happen, I covet the Leatherman Surge. You can get it in regular stainless or black oxide like many other Leatherman products, and it’s made out of tough 420HC stainless steel, so you know it won’t rust shut in extreme weather. Leatherman’s 25 year warranty is another reason you’ll keep seeing that name brand pop up in this article. 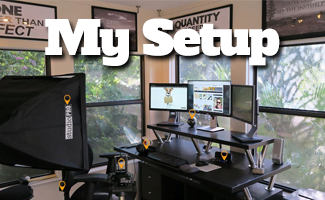 The company stands behind their products while still offering affordable options to folks with many different needs in multi-tools. Specifically the Surge has both a file and a saw that I like to see in a survival and camping multi-tool. It also has replaceable wire cutters, which is nice for anyone who’s ever damaged a pair of integral wire-cutters like I did on my Gerber Multiplier 600. What you get is an extended drive and roughly 40 different bit options for tackling fasteners of all sorts. When it comes to being a prepared individual or camper, this tool will help you tackle both bush-craft tasks and minor mechanical issues. If the world went dark, or I was stranded with few tools, this is the one I want. 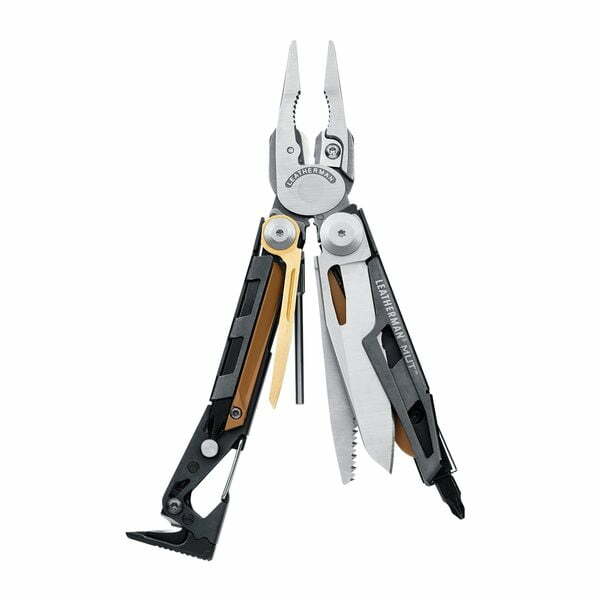 In fact, after borrowing my buddy’s Leatherman Surge, it won’t be long until I add this one to my growing multi-tool collection. 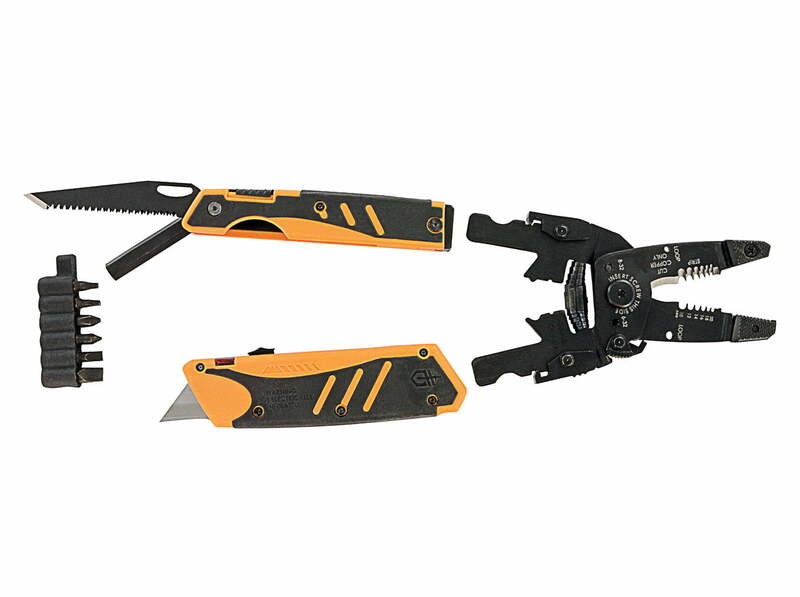 That’s three very affordable and effective multi-tools for campers, survivalists and outdoor thrill seekers alike. There are other good multi-tools on the market that have a bunch of general purpose tools like these, but the Multiplier 600, Super Tool 300 and the Surge tripped our trigger, maybe you’ll give one of them a try. If you’re looking for a multi-tool that doesn’t fit the bill like any of the ones above, you probably need something with more specific tools. The hunter’s job isn’t done until he or she brings back that trophy, or puts wild-game on the dinner table. We’ve looked high and low and would like to show you some of our best multi-tool picks for hunters. Sometimes simple is good. I’ll never enter the field without my regular general purpose multi-tool, but who’s to say I won’t have the Leatherman Cam clipped on my pack as well? It’s weather resistant, light weight, and super useful for dull or loose broad heads and lose fasteners. It’s a great piece of gear. I like having adjustment tools close at hand for tightening a fastener or adjusting my scope. If you hunt with a choke, you’re in luck because this tool has a choke tool as well. Some folks like to use one shotgun to hunt upland birds in the morning and go out for the evening deer hunt the same day with the change out of a choke tube. Again, this tool has you covered with its choke tube wrench. The disassembly punch is great for helping one breakdown their shotgun for cleaning after a day in the field. Sometimes I don’t want to haul my entire armorer’s kit with me. With this tool all you need is an oiled rag and you can do mild wipe down and minor adjustments for sights and scopes. There’s not much that a shotgun can’t handle at appropriate ranges when hunting in North America, and this tool is a must have for America’s favorite hunting firearm. 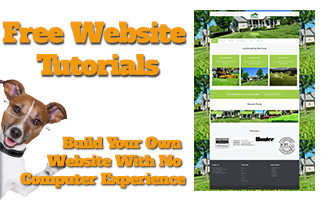 This one is a simple tool without a bunch of features that you may not even need. The biggest selling point on this one is the open ended, adjustable wrench for me. It’s a great little wrench for all you bow hunters out there.It’s a great little wrench for all you bow hunters out there. When it comes to the best multi-tools for hunting, it would be inappropriate to leave out the Gerber Myth Shotgun multi-tool. It’s specially designed to help turkey hunters in the field. It’s 4” long when closed and 5.9 oz. which is pretty compact. I like the rubber over-mold on the nitride treated steel surface so when it’s really cold out, your hand won’t freeze to the multi-tool if you happen to take your gloves off. Obviously it comes with a choke tube wrench for all the standard sizes. I pin punch makes accessing your shotgun internals a breeze. Then you have a knife and saw, which are crucial implements when in the field. Here’s what sets this multi-tool apart: It has a 12” retractable ruler for measuring beards and spikes on Jakes. How cool is that? It also comes with an 18” bird lanyard that allows you to carry your turkeys over your shoulder using the multi-tool as a T-handle when leaving your best hunting spot. Here’s a review of the Gerber Myth Shotgun Multi-tool features. This little gem can be yours for under $40. The Gerber Myth Shotgun multi-tool is intelligently designed, doesn’t come with a bunch of useless features that will make it unnecessarily heavy, and it’s affordably priced. What more can you ask for? I’ll make sure to have the Myth Shotgun multi-tool when I’m after that next big Jake. The Modern Sporting Rifle is based off of the AR-15 platform. 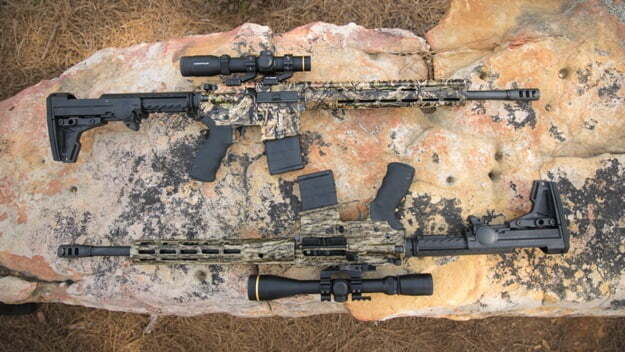 The “MSR” as it’s been called can be found in popular calibers like .223, .308, .300 Blackout, 450 Beowulf and 6.8 SPC. The MSR is used for “3-gun” shooting matches, regular shooting matches, “plinking” at the gun range and hunting several types of medium to small game. While the MSR might not be as popular to Americans as the 12 ga. shotgun, it’s not far off. More people own AR platform rifles than ever before. 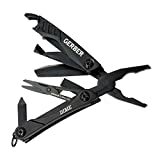 So it only makes sense that companies like Gerber and Leatherman have come out with multi-tools specifically designed for the Modern Sporting Rifle. Let’s take a look at some of the best models for all you shooting sports guys. 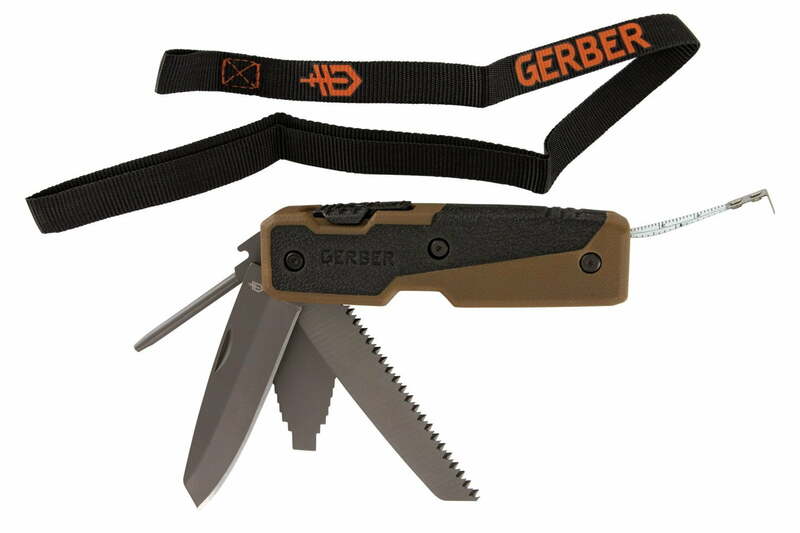 The Gerber MP1 MRO can be had for under $200 on sites like Amazon. I’ve seen this multi-tool range in price, so you may find a really good deal. The MP1 is a compact 4.3” long, given its number of tools. What’s nice about the MP1 is that it comes with extra bits and MOLLE compatible sheath. You can see from the picture below, the extra bits included are a front sight adjustment tool, which will work on standard AR front sight posts and most folding front sights. Even if you have optics on your MSR, a good set of back up iron sights are a worthy investment. There’s also a punch included for the bit driver which aids in taking down an MSR (AR) for maintenance and cleaning. 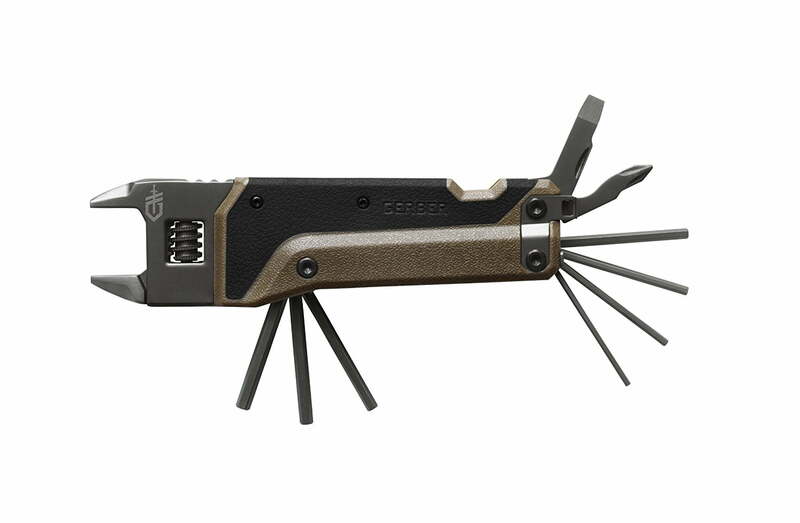 This multi-tool is a bit pricey, but it has some crucial items for modern sporting rifles. Many free-floating handguards are held in place with hex-bit screws, this multi-tool is equipped to do a quick tighten check, prior to a shooting match. 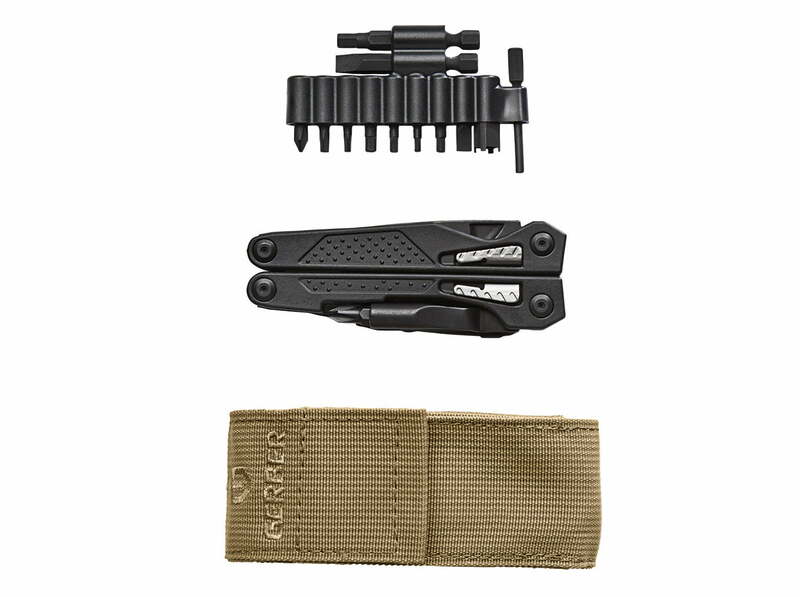 It’s been said that if you spend a little more you only cry once, versus buying a whole bunch of tools, which probably add up to more than the cost of this multi-tool, and do not fit into a compact MOLLE compatible sheath like this one does. 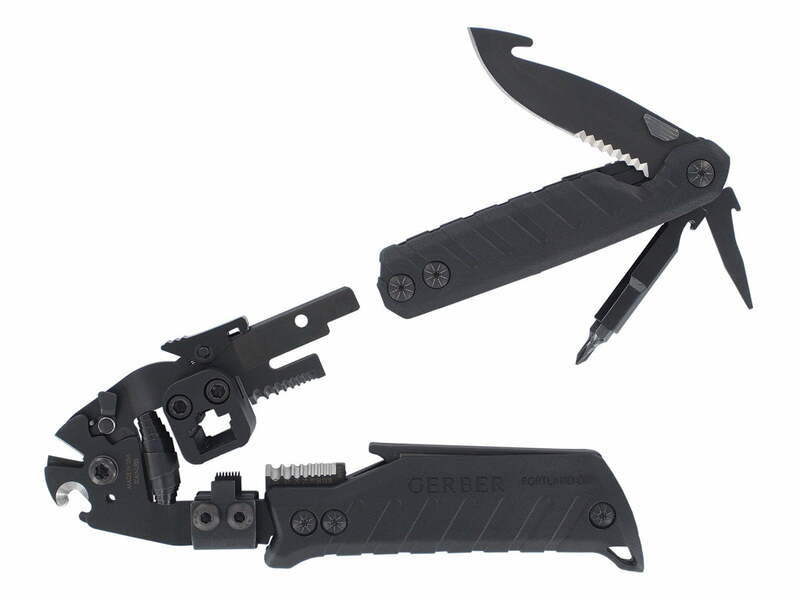 You get the tough as nails Gerber quality and a heck of a lot of useful tools if you go with this option for your MSR. 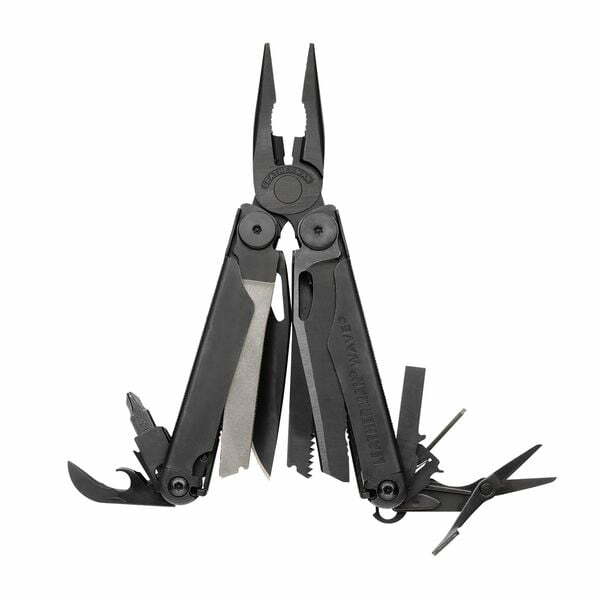 The Leatherman MUT is definitely my favorite modern sporting rifle multi-tool. 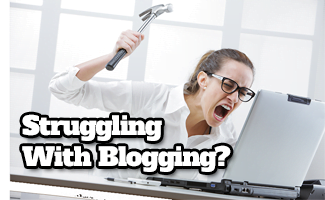 You won’t lack for standard maintenance tools here. As well, you get all your standard multi-tool items like a saw, large knife, and a few nice to have items like an emergency seatbelt cutaway tool. At 5” closed and 11.2 oz. this one is a bit bigger than some of the other multi-tools, but I’m telling you it’s worth the size when you consider all of the things this piece of gear can do. The knife blade is a premium stainless 154CM where the regular body and parts are 420HC, which is tough as well. The carbon scraper for your rifle bolt is bronze, which is perfect for doing an excellent job of getting the grime out, without marring up the internal surfaces of the firearm. To keep from being a light reflective beacon, Leatherman made sure to black oxide this multi-tool. You can pick this beauty up for under $175 and the premium kit which includes extended bit driver and extra buts for under $225. Here’s a list of some of the features. Leatherman designed this for soldiers and the feedback from the battlefield has been outstanding. But you don’t have to be on the battlefield to find good use in the Leatherman MUT. 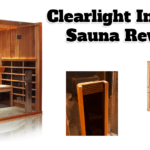 I’ll be sure to save my pennies for this one. The MUT has been validated for use by a credentialed former professional and good friend of mine. 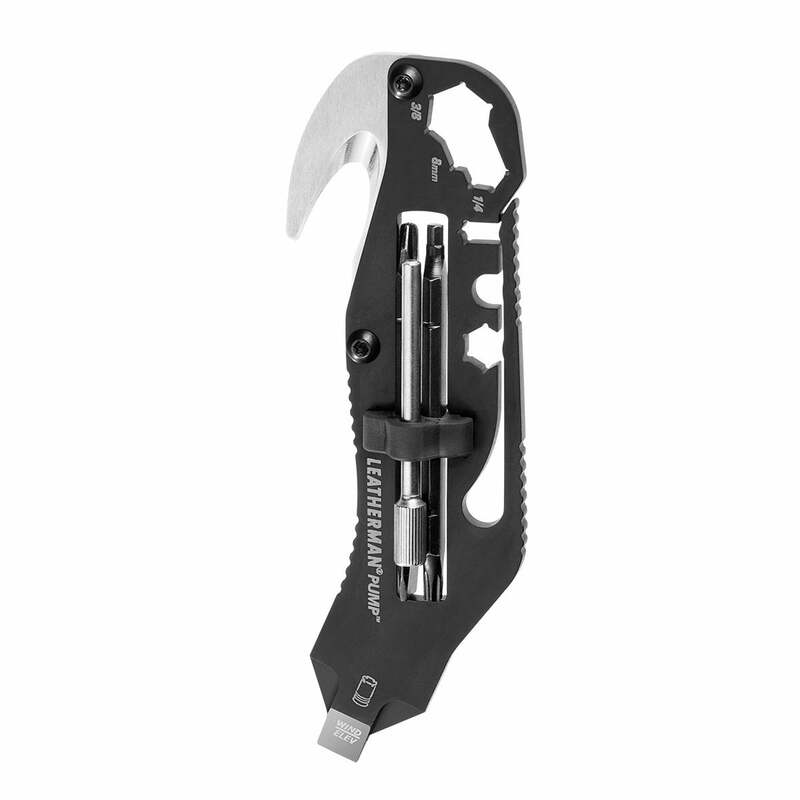 Again, the price might seem a bit high, but when you consider the amount of money that folks put into an AR-15 between premium parts and optics, the Leatherman MUT just seems to be the right tool for quick repairs and maintenance. Leatherman, you guys did a good job with this one. EDC, or every day carry multi-tools refer to those carried by folks going about their normal lives. 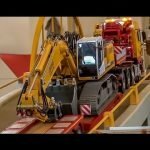 Whether you’re in a business high rise, or smashing through concrete on a demo job, your multi-tool is unique and a very personal selection among the multitude of choices for today’s consumer. 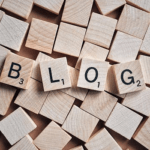 So what we’ve done is pick through some of the most versatile multi-tools to review for those who are in business clothes, right on through tools that are better suited to tradesmen. 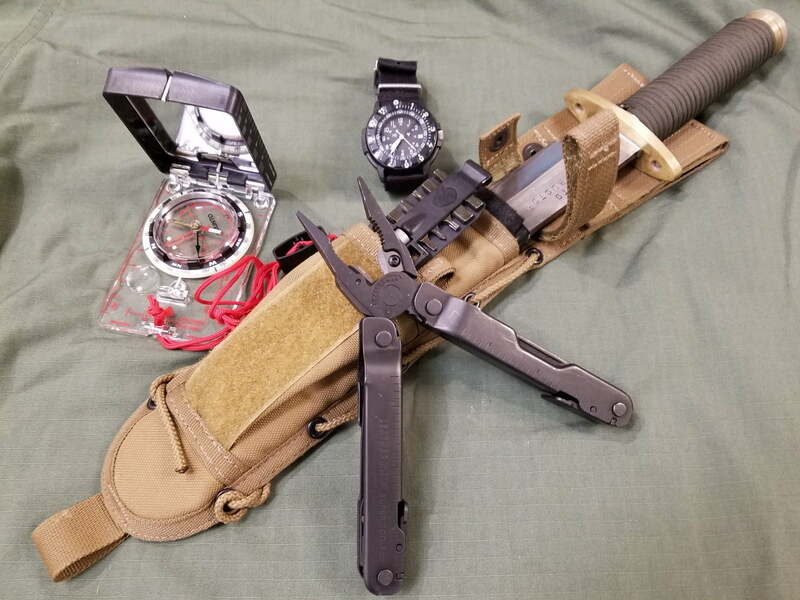 One characteristic of EDC type multi-tools is that there is a focus on tools that manipulate fasteners and man-made materials, versus survivalist and camping multi-tools that need to handle more bush-craft type tasks. 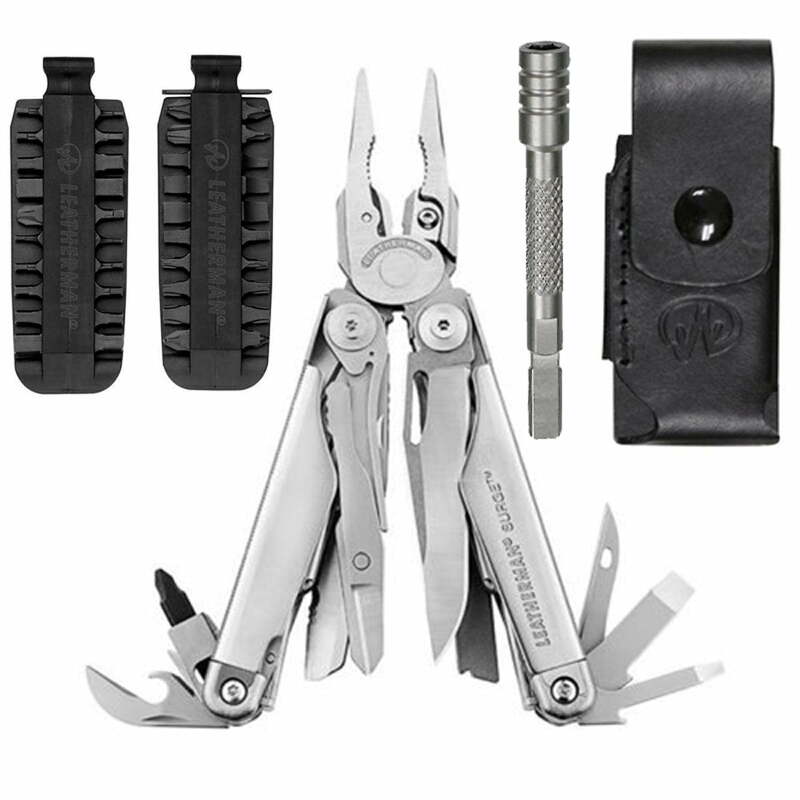 Remember that you can purchase the expanded Leatherman Wave Kit with extended driver and bits. At only 4” in length and 8.5 oz. you might forget the Leatherman Wave is on your belt in its sheath. 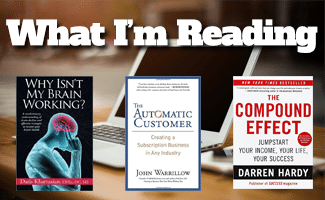 But don’t worry, whatever comes your way, you’ll have most of the tools you may ever need. 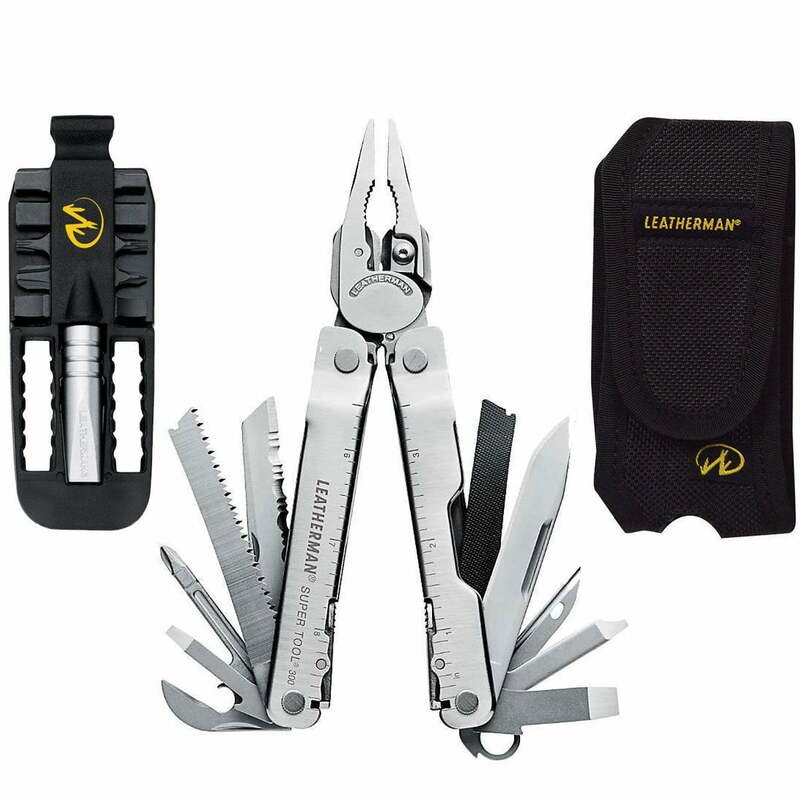 This is one of my favorite of all the tools in all the categories, and for that reason, we have no problem recommending the Leatherman Wave for cost, function and durability. If you’re able to carry a multi-tool of this size in your pocket or on your belt, this is the one I’d go with. One of my favorite things about this small multi-tool is that the Phillips screwdriver comes with the ability to use the Leatherman Removable Bit Driver for even more tool uses! This is the same Removable Bit Driver that’s compatible with the Leatherman Super Tool 300 and man more. If you’re needs are similar to mine, you need a multi-tool that is actually useful, while still fitting comfortably in the front pocket of dress slacks, this is the one you need to buy. 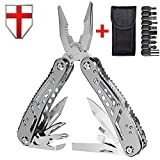 If you consider the fact that this multi-tool comes in under $30 and it has a lot of features for its size, then there’s no wondering why its sold so successfully. I don’t like a lot of “jangle” on my keychain, but this multi-tool is light, compact and functional enough to put it there with its key-ring lanyard. You might expect to pay over $250 for this multi-tool dream, but that’s not the case – you can pick this one up for under $100. 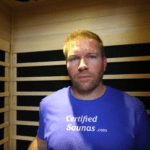 As I said before, Every Day Carry for the business man, customer service rep., or school teacher is very different than that of the tradesman. 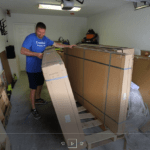 Having worked for a while in a trade I know this to be true: Some work areas don’t lend themselves to lots of tools, so you carry what you can, and tools like this that have multi-function are absolutely worth having around. The Gerber Groundbreaker is an ingenious design, tough as nails and ready for you to put it into action. There are times when I’m willing to pay a little more besides the aspect of quality. When you can purchase a tool that does so many things in one, saves multiple trips to the tool box and is backed by an excellent warranty, you know you have something worth paying for. One of the things worth considering when purchasing an Every Day Carry tool like this is the cost of the equipment that communications personnel work on. 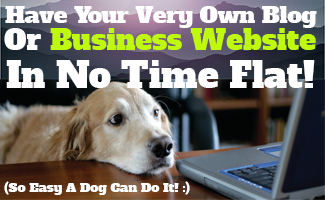 There are plenty of stellar reviews on the internet for the Gerber Cable Dawg. 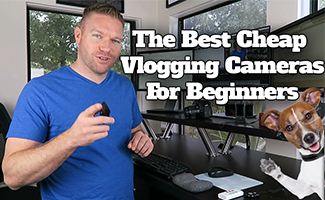 If you’re in the industry of communications, this may be a very worth-while EDC multi-tool for you. 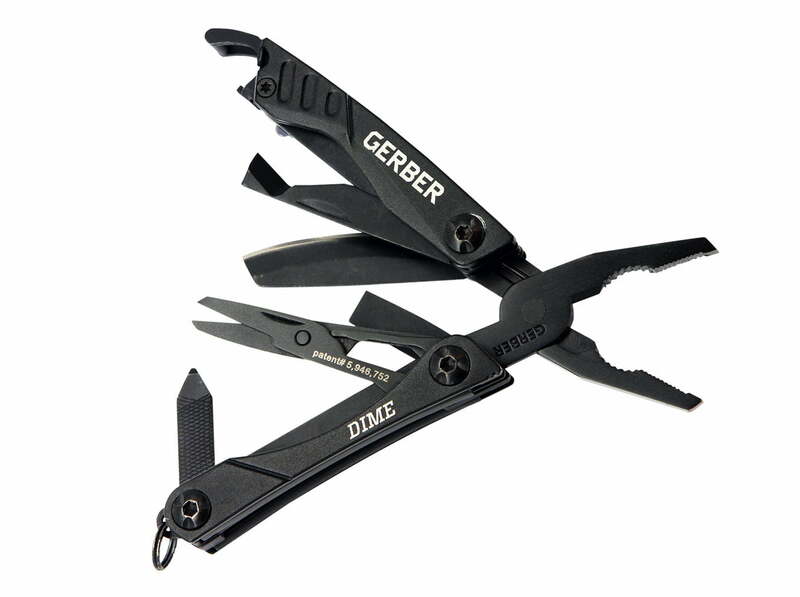 As you probably noticed Gerber and Leatherman made up our top picks in each category. 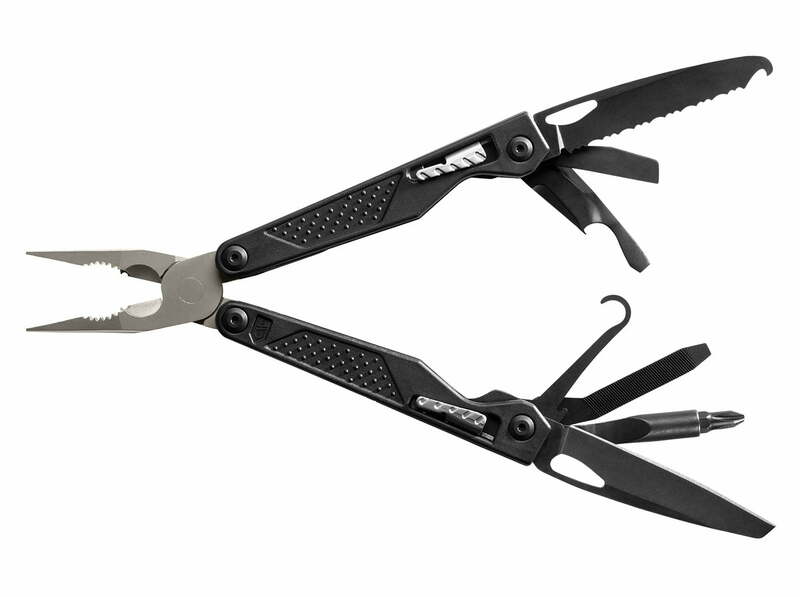 They are pretty much the “Pepsi and Coke” of the multi-tool industry. 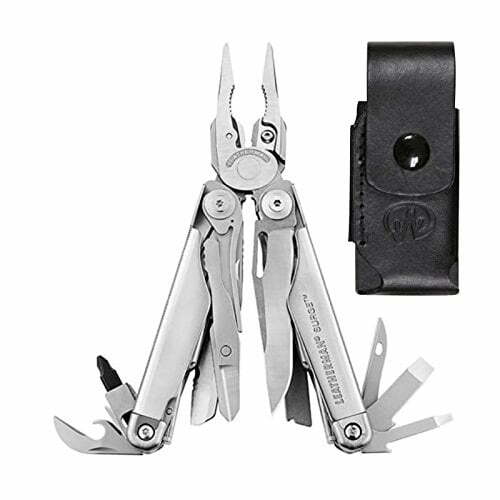 Both Gerber and Leatherman have 25-year limited warranties and excellent customer service. When I spend money on a multi-tool, whether it’s $40 or $200, I want to know the company I go with stands behind its product. You can have that faith in Gerber and Leatherman. Whether you’re a camper, survivalist, hunter, gun-enthusiast or a jobber, you probably have a need for a multi-tool. The good news is that there are plenty of options out there for you and me. Admittedly I like to have a multi-tool for every category of life, because a good one is as useful as duct-tape in my eyes. The toughest problem for someone trying to pick out a good multi-tool is going to be going with just one. That’s why I don’t go with just one multi-tool. I have a low profile model for business, one for working on home repairs and around my vehicles, and then I have one for serious “bet your life on it” belt carry (when size of multi-tool is not a hindrance). If you’re in the market, hopefully one of these multi-tools catches your eye and becomes your “don’t leave home without it” pieces of gear.